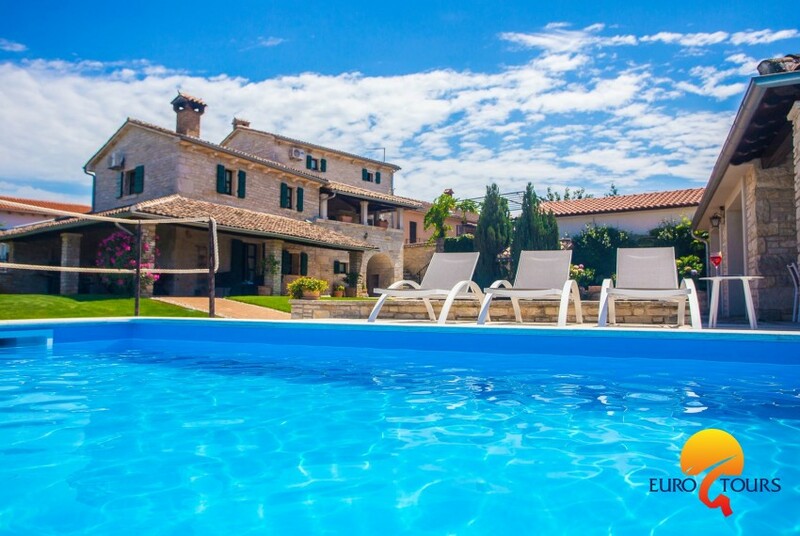 The Villa Luna is a very nice stone house with swimming pool for 8 - 11 persons, traditionally and comfortably designed. 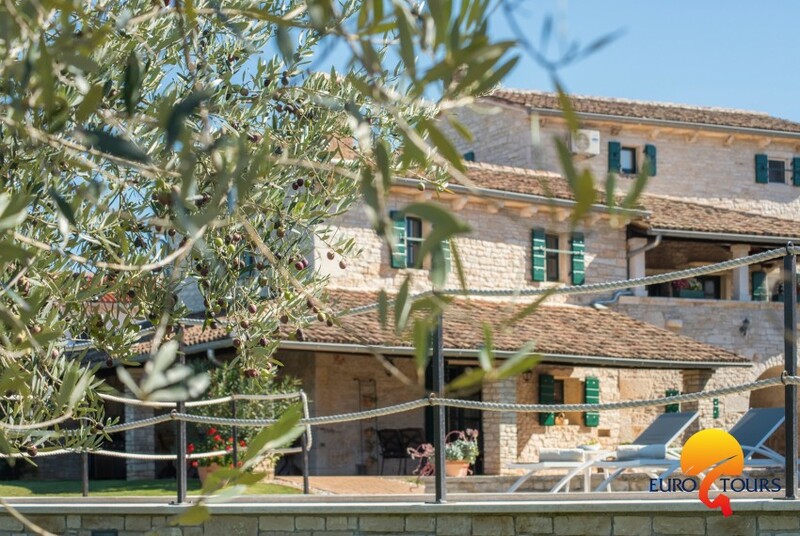 The house was renovated in 2017 and is surrounded by a cultivated green garden, surrounded by walls of local stone. 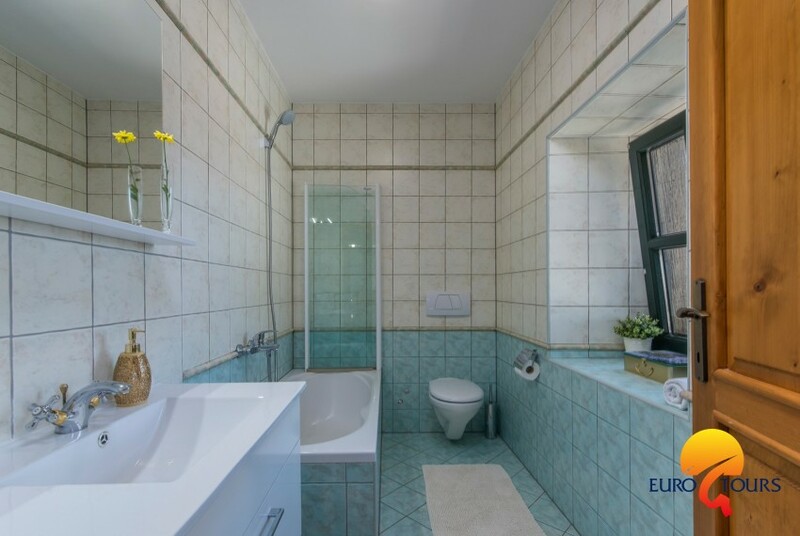 Pleasant peace and privacy is guaranteed to the guests. 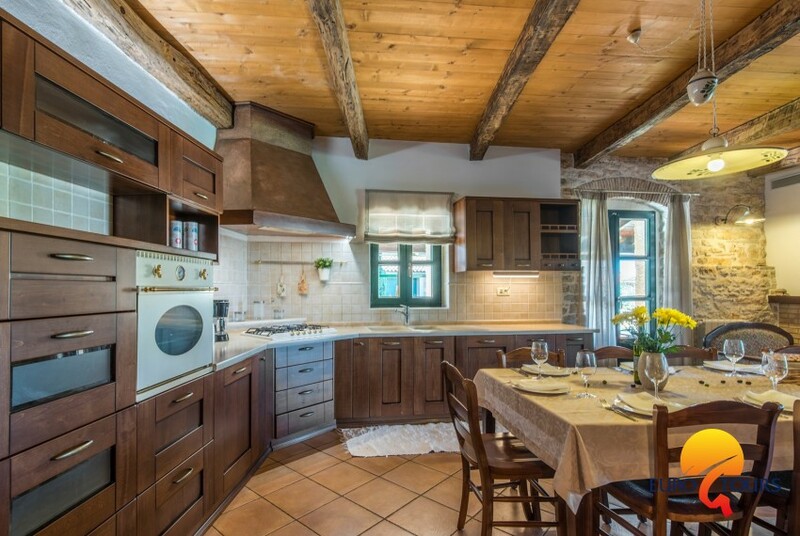 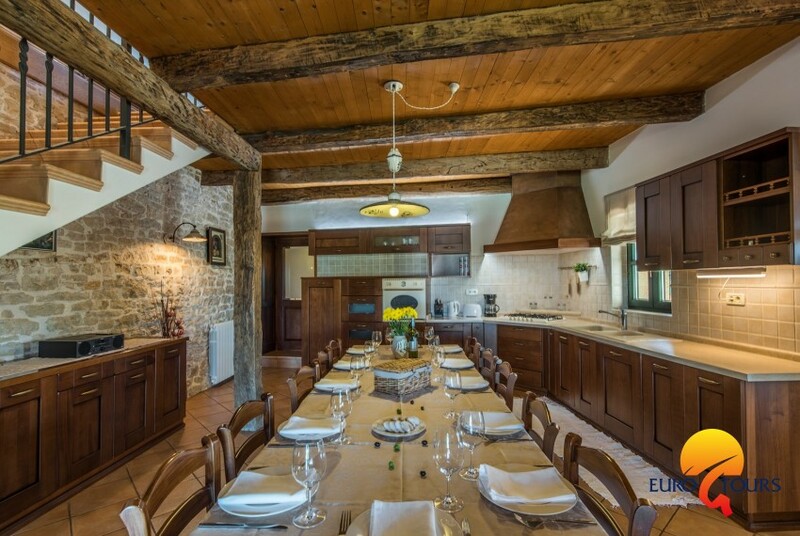 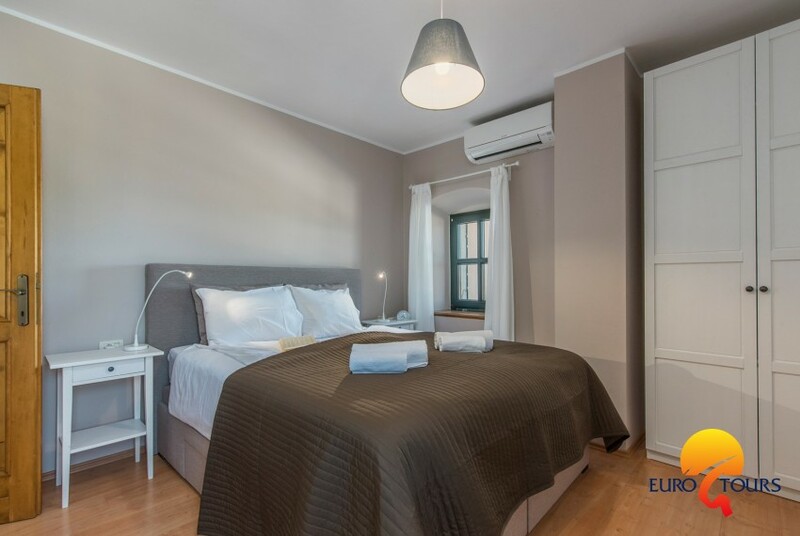 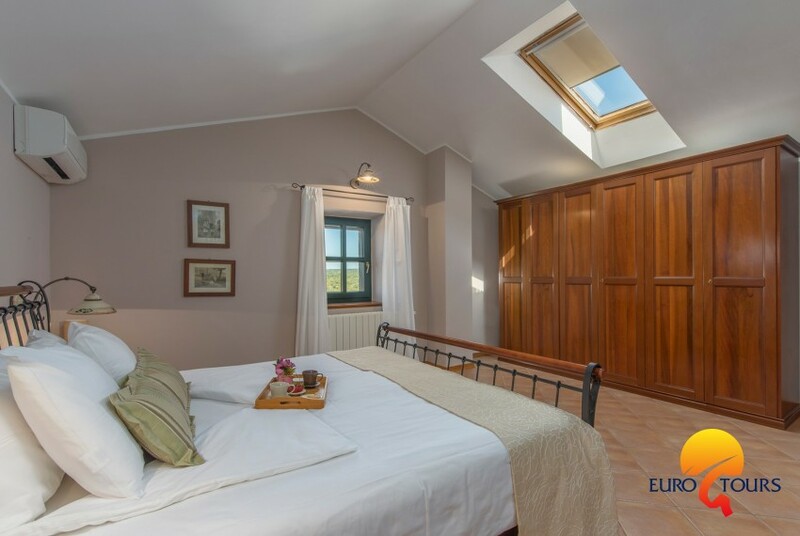 The villa is very spacious and tastefully decorated in a rustic style. 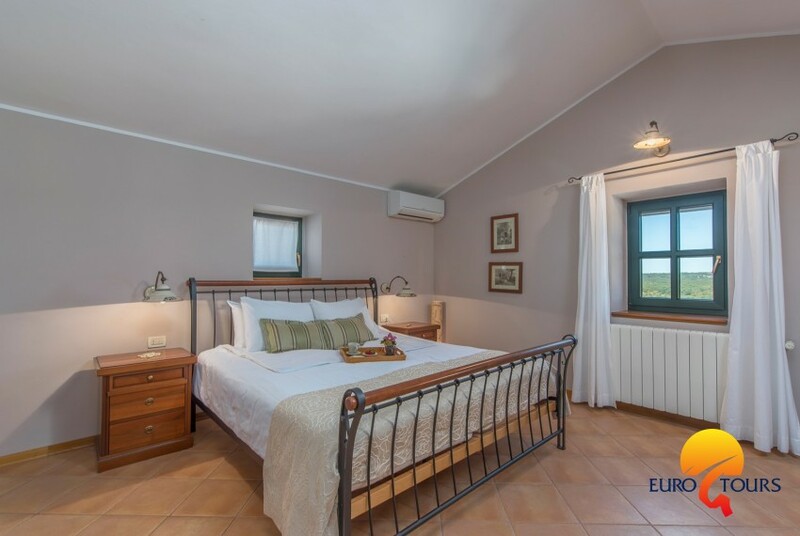 The 11 beds offer plenty of sleeping facilities. 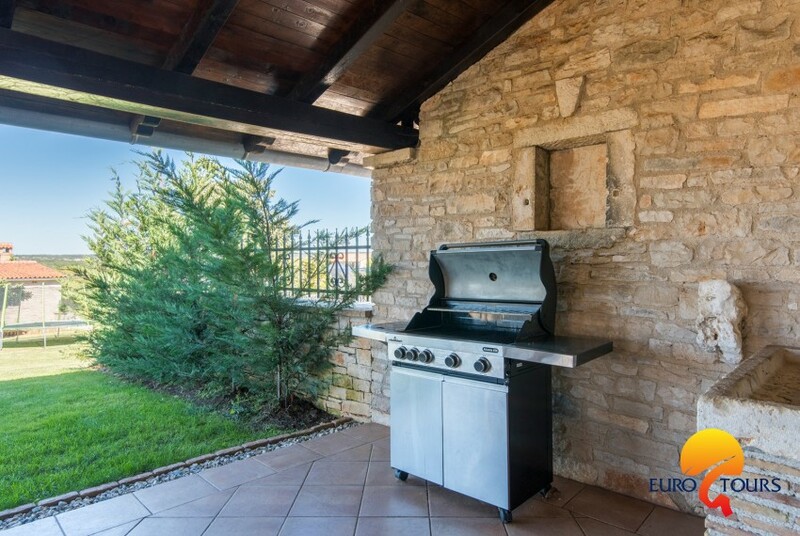 A spacious dining area with fireplace, fully equipped kitchen and a bedroom with bathroom and additional guest toilet are on the ground floor. 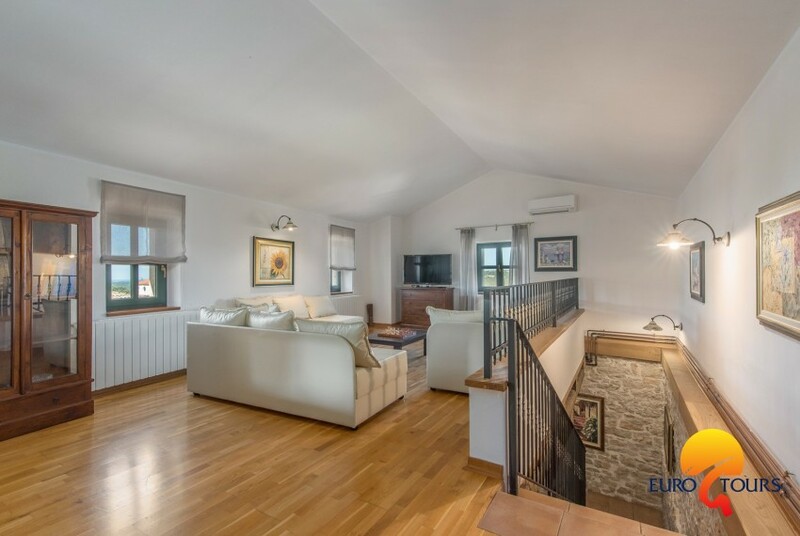 On the upper floor are living room with sofabed for 3 people, two further bedrooms with shared bathroom. 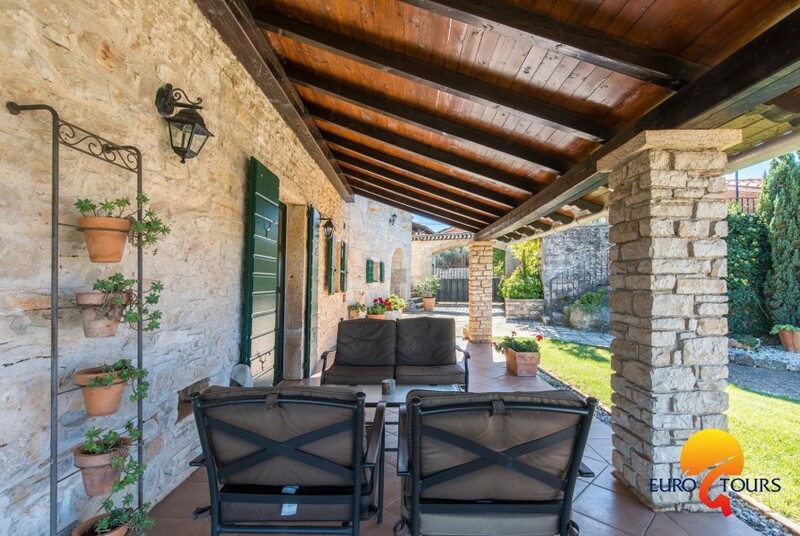 The living room has access to a covered balcony with table and chairs.On the second floor of the stone house there is a large fourth bedroom with double bed and private bathroom. 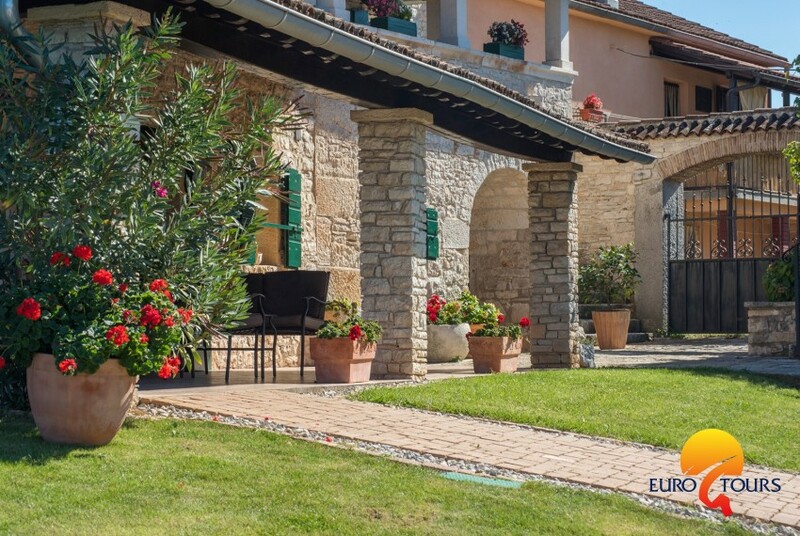 The fast connection to the home and the wide world is guaranteed by a free WLAN connection. 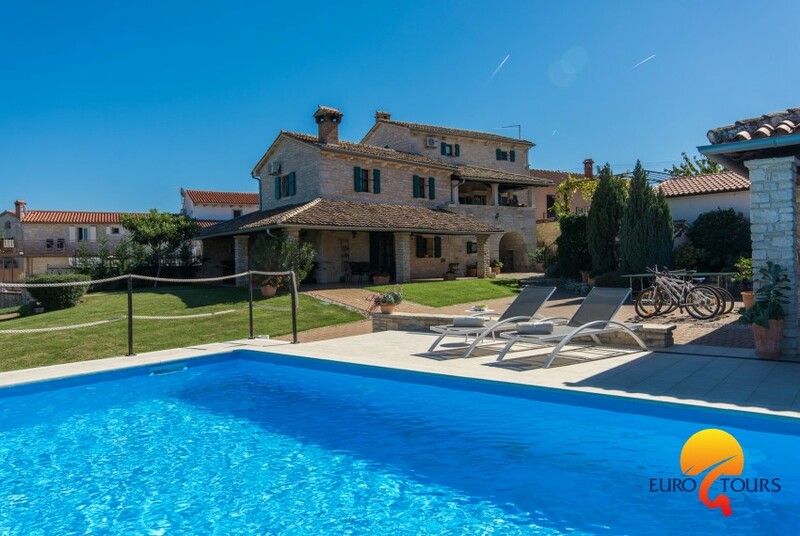 The private pool ( 50 m2) in the garden in front of the villa allows a refreshing bath in crystalclear water at any time. 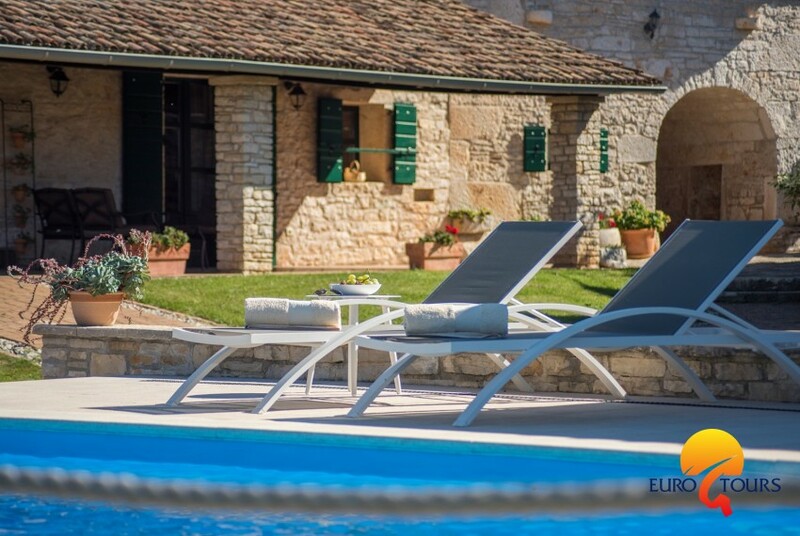 The pool lighting in the evening makes the bathing pleasure a special experience. 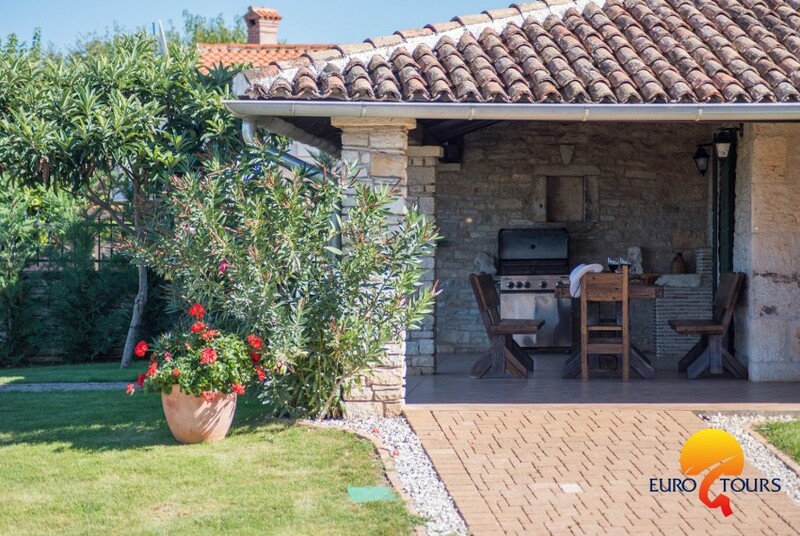 Modern outdoor furniture and comfortable deckchairs, a fireplace for barbecuing, as well as a closed car park for two cars determine the outdoor facilities. 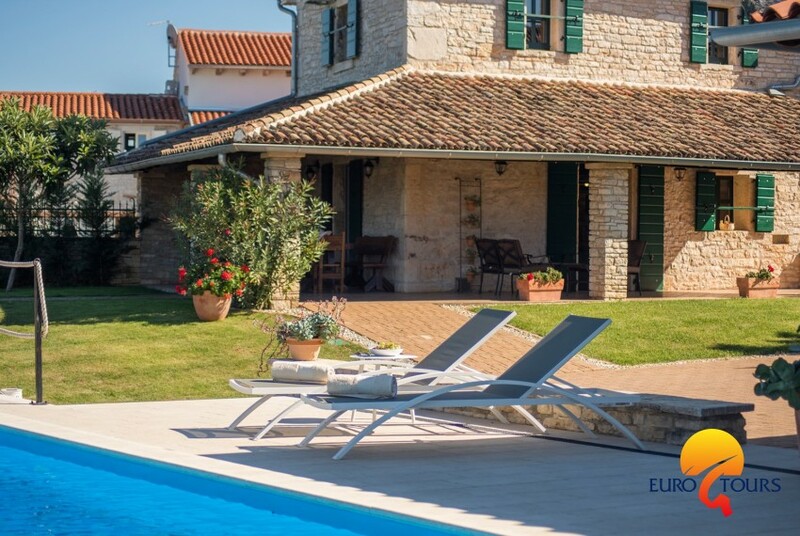 The beautiful stone villa "Luna " is situated in a small village called Selina, near the historic town of St. Lovreč. 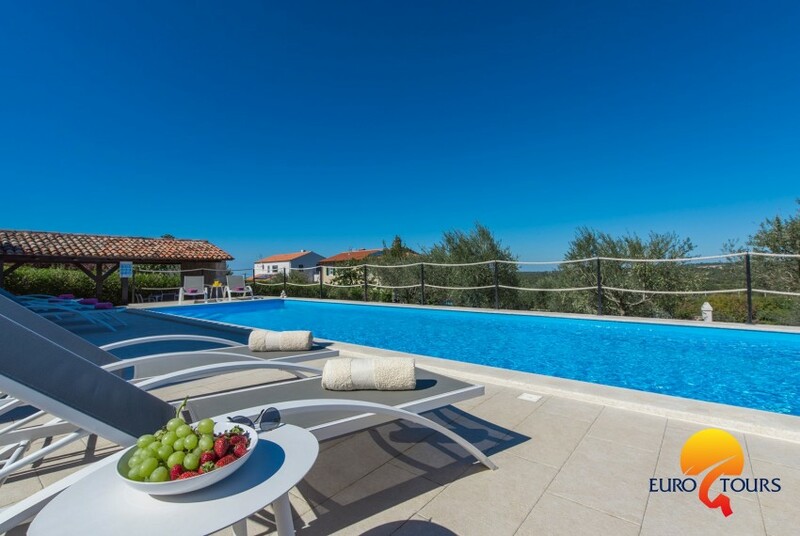 The villa offers an unforgettable holiday thanks to its location. 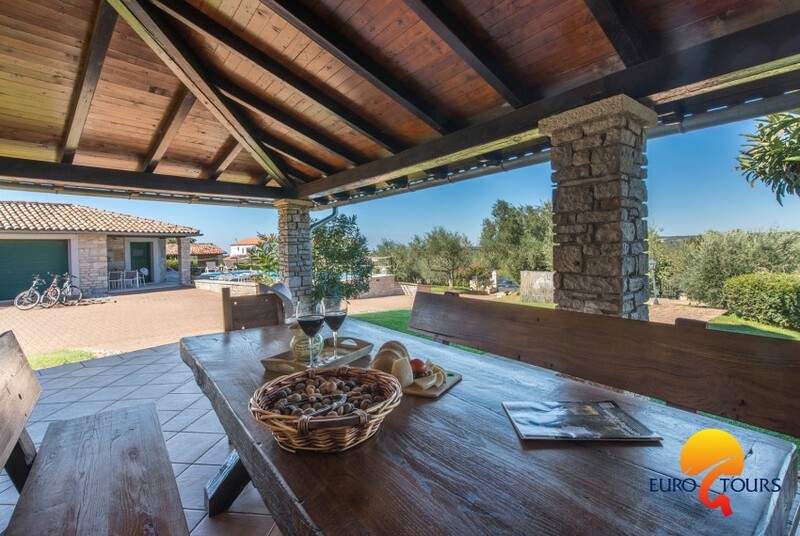 It is surrounded by a green fenced garden ( 2500 m2)with a view of the sea and the forest landscape. 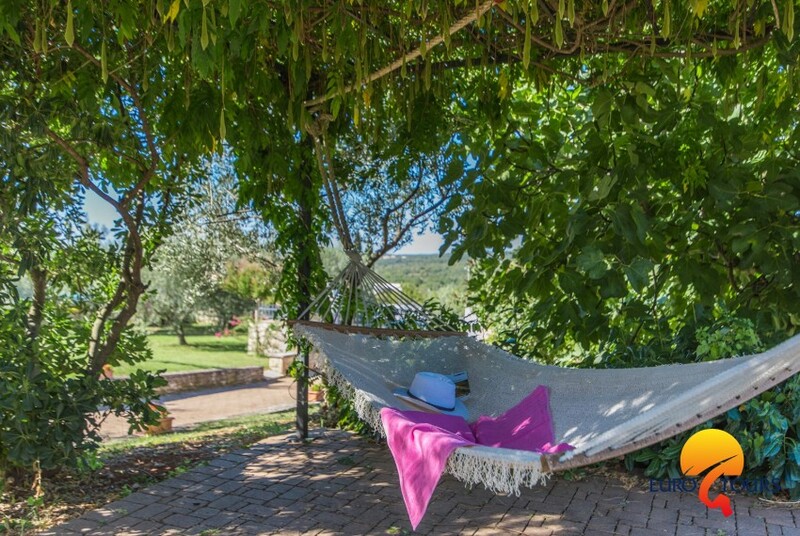 Peace and quiet places will fascinate everyone. 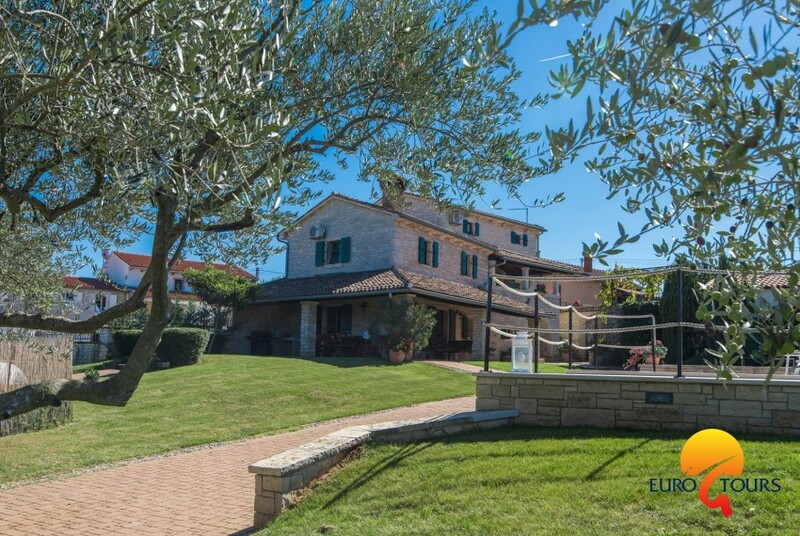 Only 3 km from the villa there is a small town of St. Lovreč where you can find pizzeria, restaurant, cafe, shop and post office. 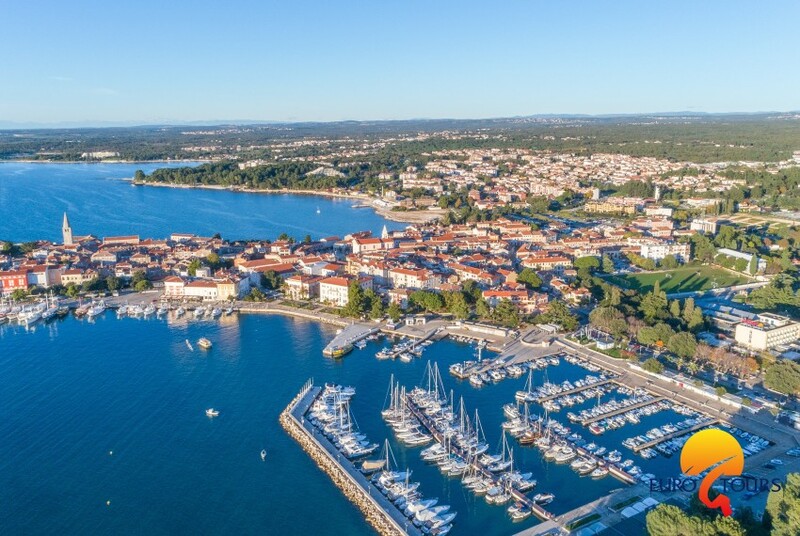 In only 15-20 minutes by car you come to the beaches, bays, parks and resorts of western coast of Istria (Bale, Rovinj, Lim Fjord, Vrsar, Funtana Porec) but aswell to historic, mysterious small cities of green central Istria (Tinjan Pazin, Kanfanar, Žminj, Dvigrad, Motovun). 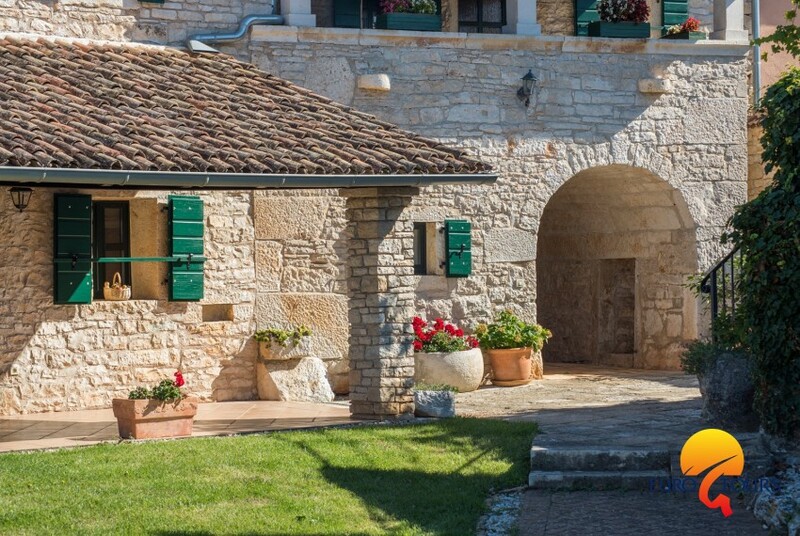 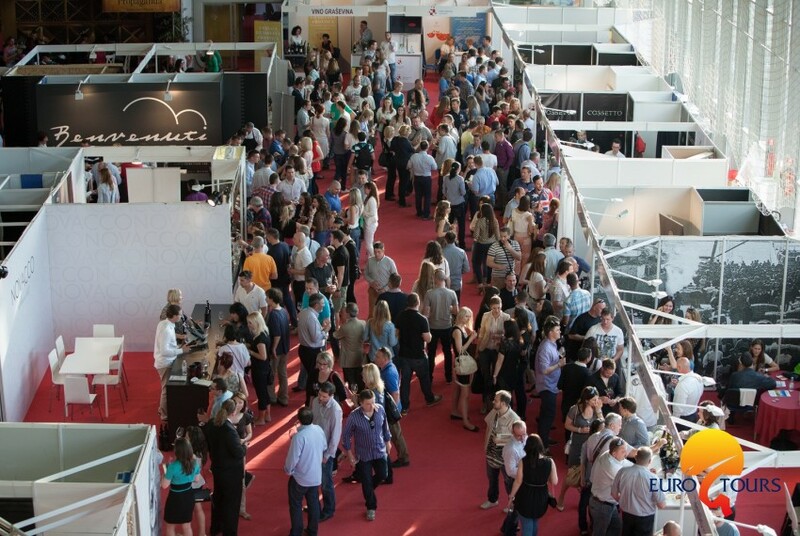 On the farm family Babic you can taste wines from their own production (Malvasia and Teran). 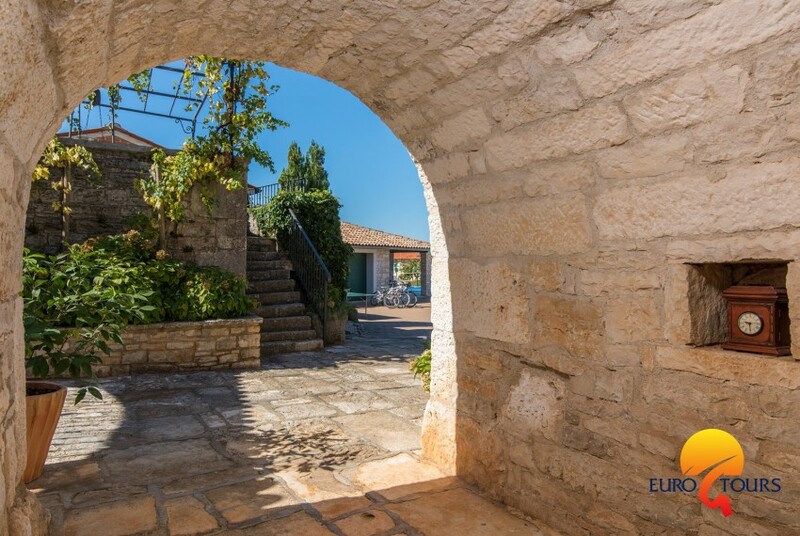 The area is full of marked bike trails that lead to nearby villages and historic towns (Kanfanar, Dvigrad, Tinjan, Kringa). 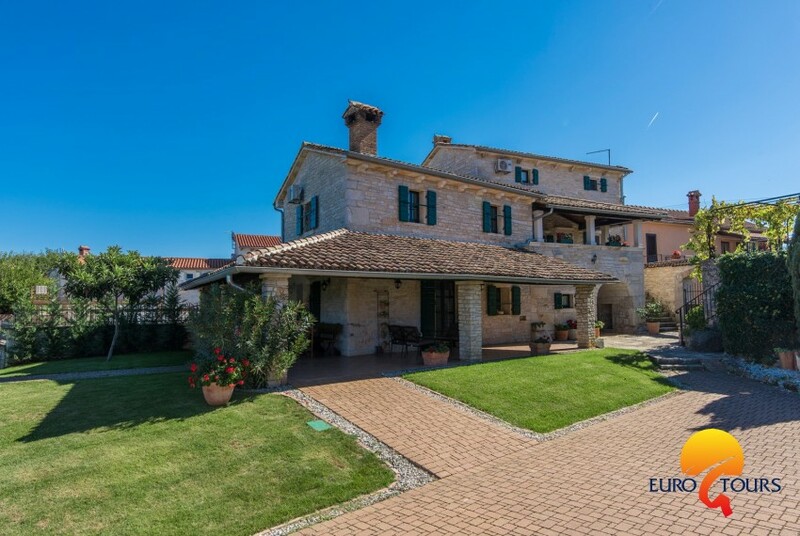 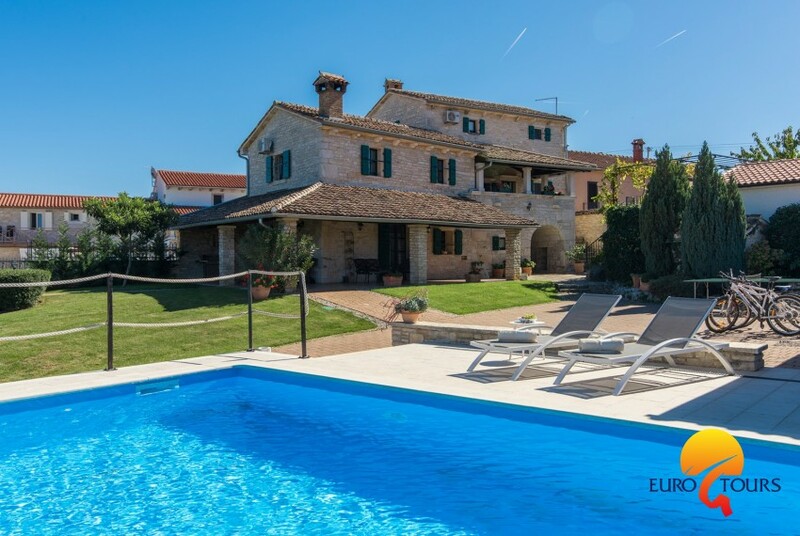 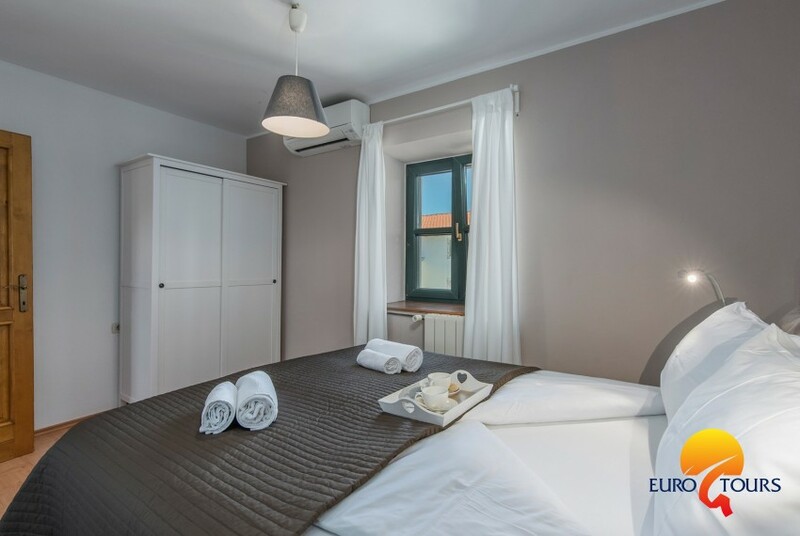 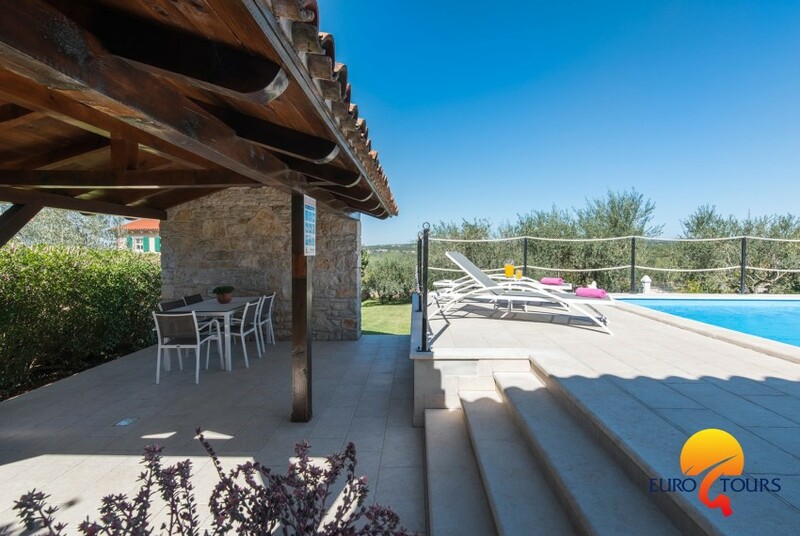 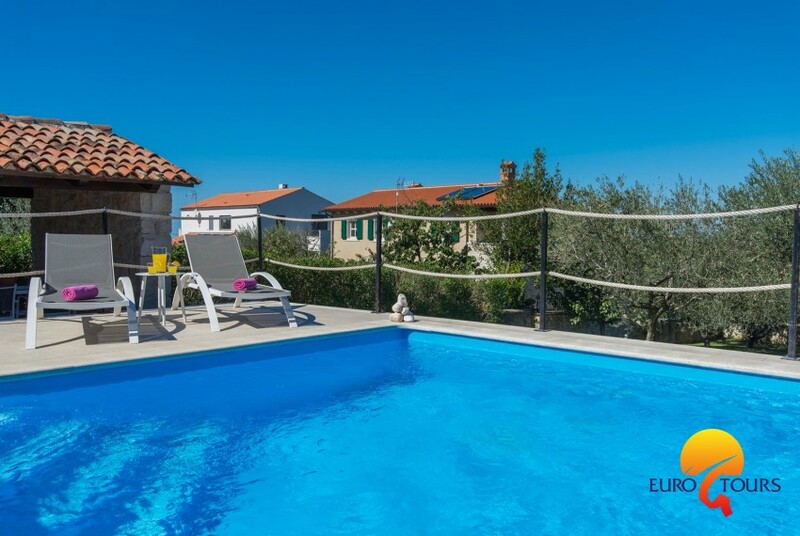 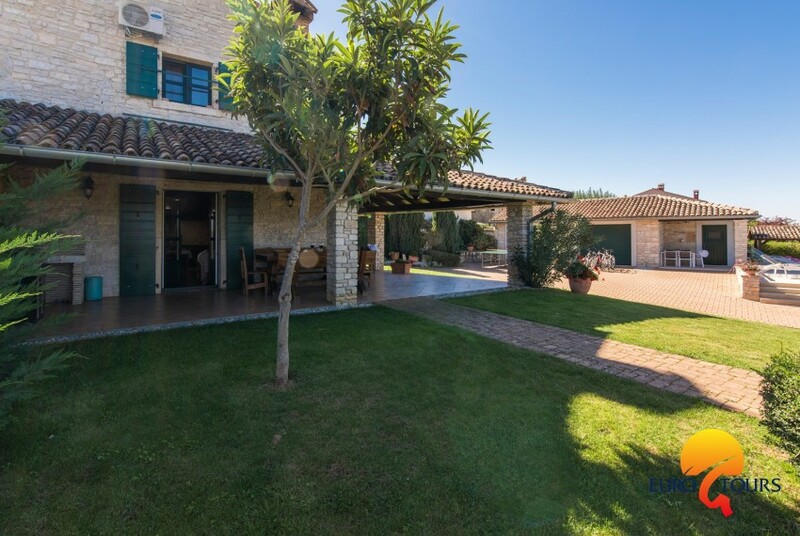 Villa Luna is suitable for a quiet holiday in the idyllic Istrian and green environment from where you can come easily to neighboring cities. 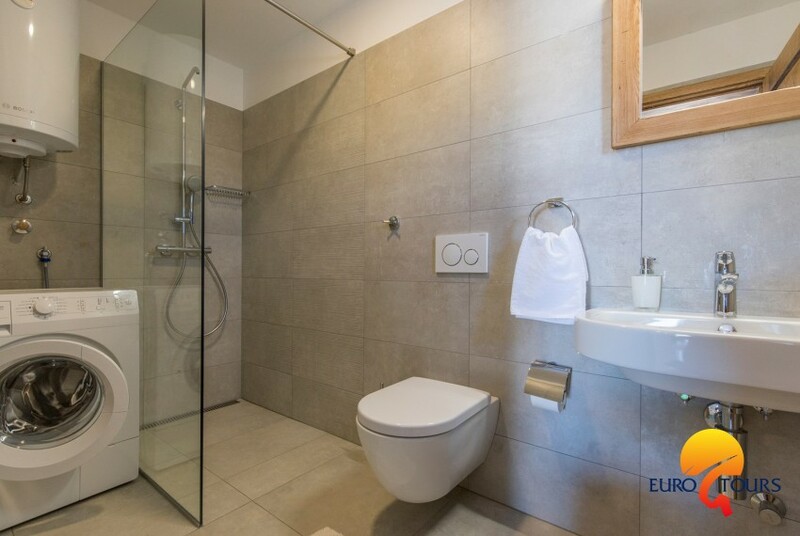 La casa de Rosana es magnífica.